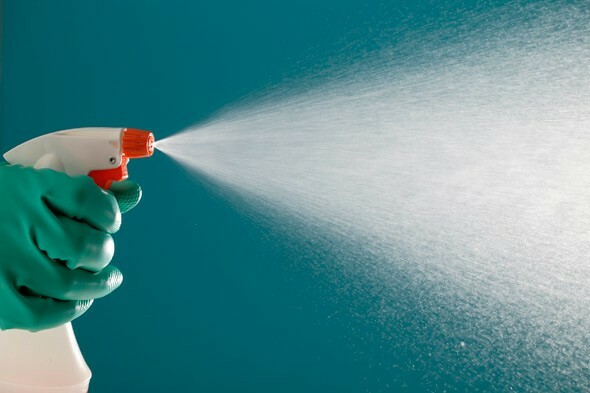 For mold problems on bathtub grout, mix 1 tablespoon of distilled white vinegar and 10 drops of pure tea tree oil with 2 cups of water in a spray bottle. Spray the mixture on mold and don’t rinse it off. Weeky applications will prevent mold from returning. Stuffy rooms? Place a cotton ball in a small bowl and pour 1 teaspoon of vanilla extract on the cotton ball. Place the bowl up high so the fragrance can drift across the room. Winter ants a problem? Mix dried catnip and ground cinnamon together. Sprinkle this along their trails or inside the windowsill. The cinnamon burns their soft bodies, and it will discourage them from coming indoors. Smelly pet? Mix together 1/2 cup baking soda and 1/4 cup corn meal. Sprinkle on the pet, rub it in, and brush it out. Mildew on books? Place some cornstarch in a salt shaker and sprinkle lightly over the pages. This is a good idea if you’re packing the books away. To keep the garbage disposal sweet smelling, add 1/2 cup of baking soda, and 1/4 teaspoon each of dried lemon thyme, lavender buds and lemon balm. Give it a quick whirl and rinse. No herbs? Use white vinegar and fresh lemon or orange peel. Smelly closet? Add 1/2 cup of baking soda and 10 drops of lavender essential oil in a plastic zip lock bag. Close the bag and shake well to blend, then open it. Stash the open bag in a corner of the closet. The lavender will leave a wonderful scent and the baking soda will absorb the odor. Funky trunk? Place 4 or 5 pieces of charcoal in a brown paper lunch bag. Sprinkle a combination of 5 drops each lavender, rose and lemongrass essential oils on the charcoal. Place the bag in the trunk. The charcoal will absorb the odor and the essential oils will leave a wonderful fragrance behind. You can also do this in a closet, storage area, etc.